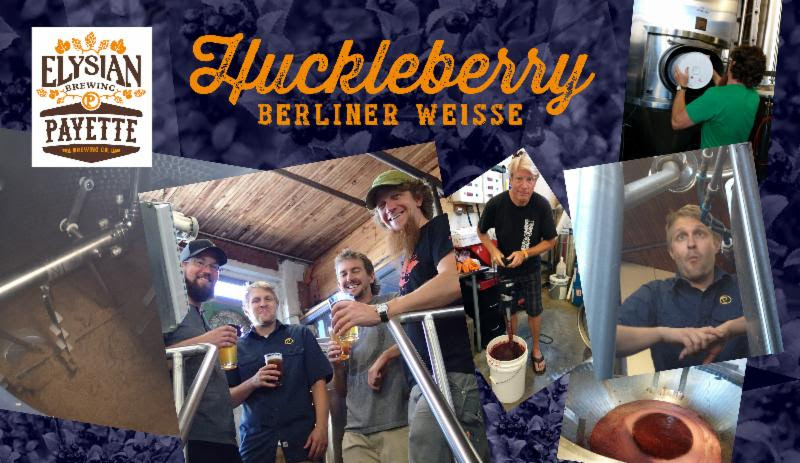 Payette Brewing of Boise, Idaho and Elysian Brewing of Seattle, Washington have teamed up for the first time and are nearing the release of their much anticipated Northwest huckleberry sour collaboration Friday, August 29. The beer is brewed in the (mostly) traditional Berliner Weisse style, employs a grain bill of half wheat and half barley, is soured with Lactobacillus, and weighs in at a thirst quenching 2.8% ABV. Add to this a whopping two-and-a-half pounds per barrel of delicious Idaho-grown huckleberries and you have the perfect antidote for these hot summer days. Elysian and Payette’s Huckleberry Berliner Weisse is light, tart, and bright freakin’ PINK! You can get your first taste at any of Elysian’s locations in Seattle, WA on Friday, August 29, and at Payette Brewing in Boise, ID on Friday, September 5. Following those releases, a small run of kegs will make their way to select beer bars in the Northwest, so keep your eyes peeled. Draft is limited, so pucker up and drink the pink while you can. Cheers! Founded in Boise, ID by Mike Francis in 2010, Payette Brewing produces three year round beers; Outlaw IPA, Payette Pale and Mutton Buster Brown as well as seasonal releases and single batch specials in the “Ale of No Return” series. Payette Brewing wanted to be able to take beer wherever adventure took them so in June 2012, Payette Pale and Mutton Buster Brown were the first Idaho beers to be available in cans.